A fairly restrictive bill that would legalize the medical use of marijuana has been given approval by a key Senate committee in Oklahoma. Oklahoma’s Senate Health and Human Services Committee voted 6 to 5 today to pass Senate Bill 1120, which was filed by Senator Ervin Yen (R). The proposal is far more restrictive than a medical marijuana initiative (State Question 788) which is up for a public vote this November. 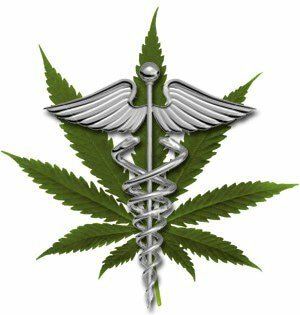 Senate Bill 1120 would allow those with certain medical conditions (such as neuropathic pain, persistent muscle spasms due to multiple sclerosis or paraplegia and intractable nausea or vomiting due to chemotherapy) to possess and use marijuana and marijuana products for medical purposes. Unfortunately the measure doesn’t allow marijuana to be smoked, requiring patients to consume the medicine through other means such as tinctures, edibles and vaping. Senator Kay Floyd (D) expressed concerns about the measure, saying she believes the proposal is far too restrictive in terms of the medical conditions that qualify an individual to use medical marijuana. State Question 788 is much more progressive, allowing those with other conditions such as PTSD and anxiety to become medical marijuana patients. Still, supporters of Senate Bill 1120 say it’s a step in the right direction, and would be better than nothing if State Question 788 was to fail. Senate Bill 1120 must be approved by the full Senate and House of Representatives before it can go to Governor Mary Fallin for consideration.